Morton Plumbing, Heating & Cooling installs and maintains HVAC systems for both home owners and commercial companies. We have included two projects on this page for your review. The first is a commercially contracted project for Electrolux offices in Nashville TN. 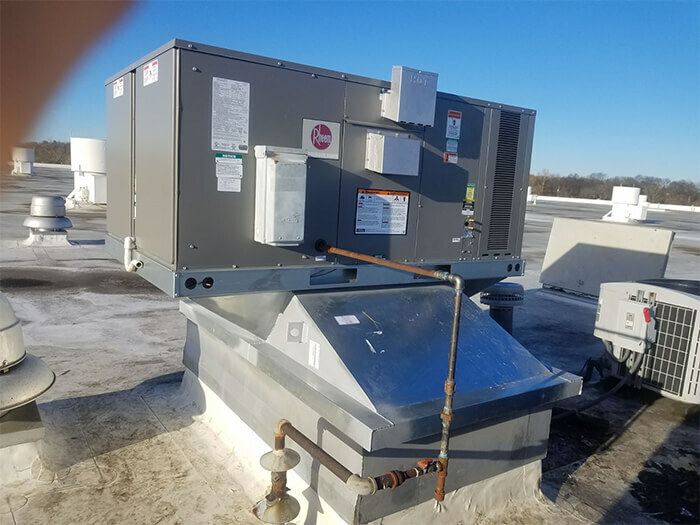 The second is for a local business that needed to heat and cool specific rooms. 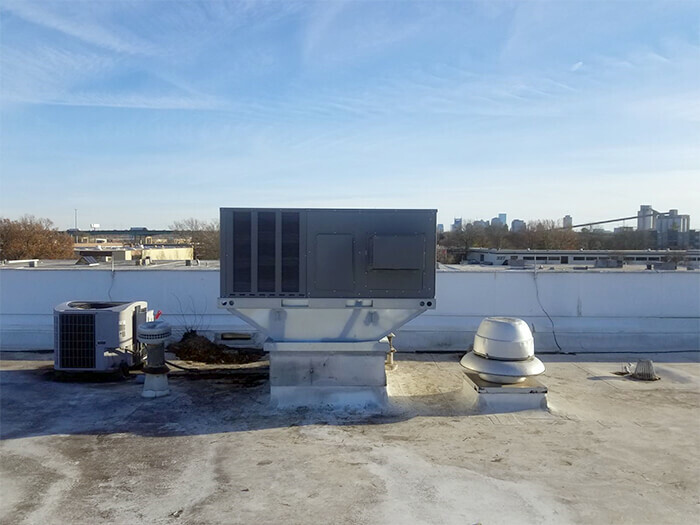 The offices at Electrolux here in Nashville contracted with Morton Plumbing, Heating & Cooling to install a 5-ton Rheem Commercial Series HVAC unit on top of their roof. This means we needed to find the best way to elevate the unit up a few stories to the rooftop safely. 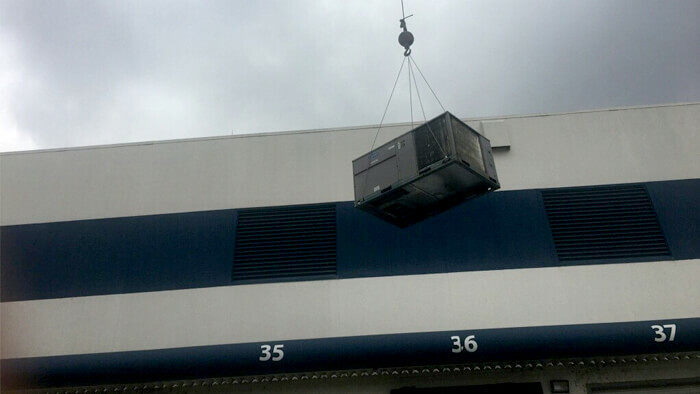 Our team opted to use a crane that securely held the system as it raised all five tons of it up. It was a sight to see and we grabbed a picture of it included on this page. As you can see this project was located near downtown, offering a view of the skyline beyond the roof. The second project we are featuring is also a commercially contracted project. MV2 Entertainment (music publishers on 16th Avenue South) wanted to have the ability to heat or cool individual rooms in the office rather than entire levels. 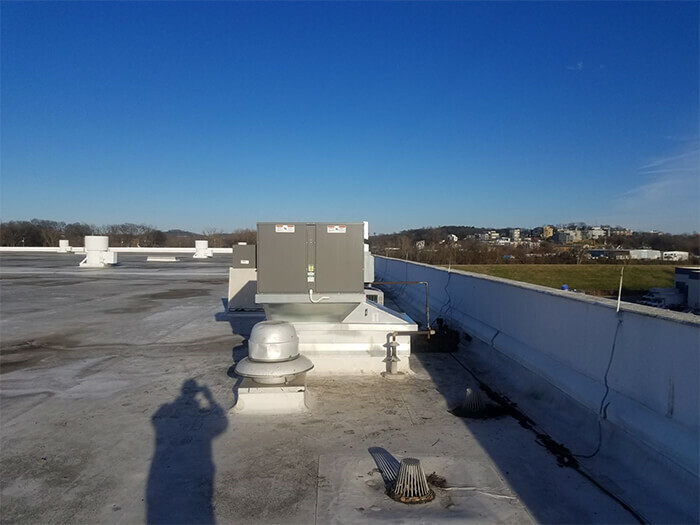 Instead of shutting office doors and closing vents to attempt to isolate rooms that needed to be heated and cooled, we placed the air temperature control in the hands of the owner by installing several air handling units inside the building. 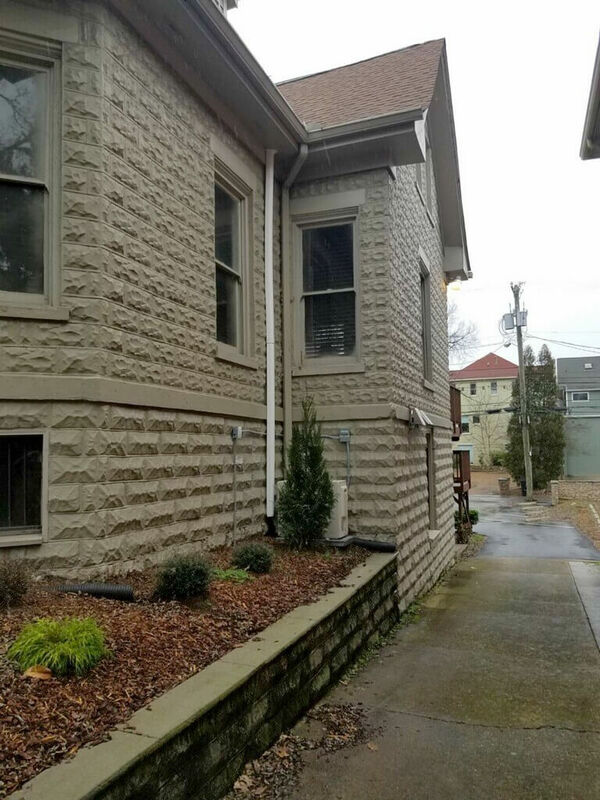 The unit on the right side of the photo is the exterior system we installed. 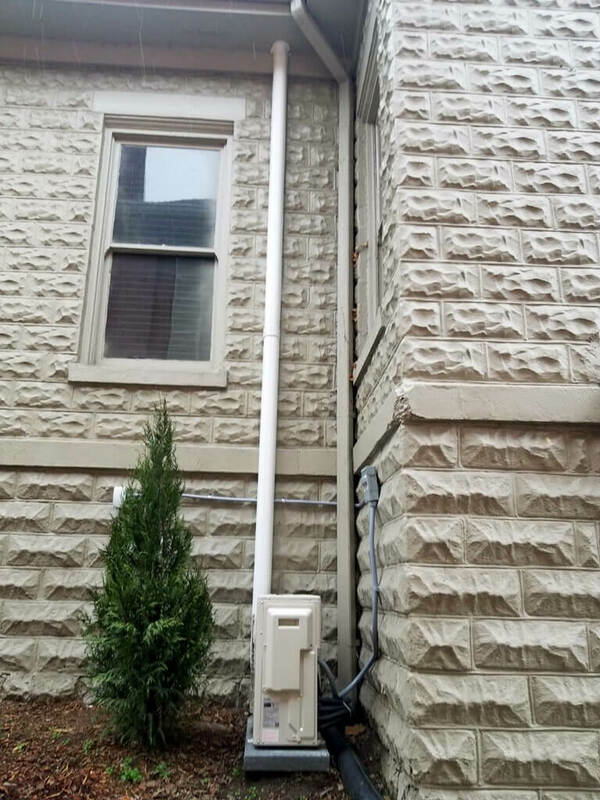 It is a Mitsubishi Electric Ductless Split System with wall mounting. The air conditioning units allowed for four air handling units with remote controls to set the desired temperature in each room with a remote control. 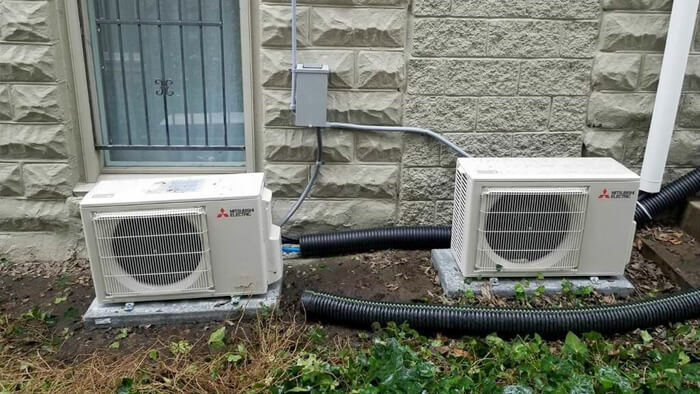 Our HVAC team replaced the Mitsubishi unit on the right for MV2.